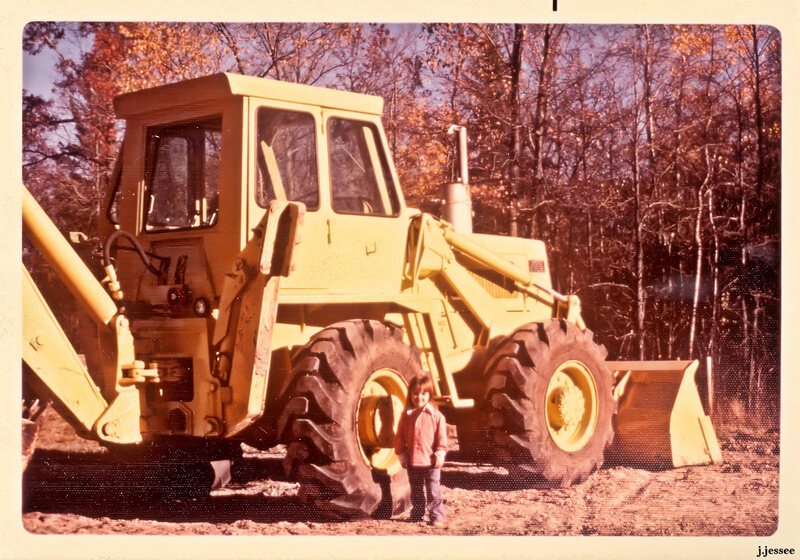 Here is Jack’s wife (me) as a wee lassie, apparently standing next to a backhoe. A large one too. I’m guessing the photographer was meaning to show how big the tire was in comparison. Cute Cute, The name of that piece of equipment was “Dynahoe” It was really huge.